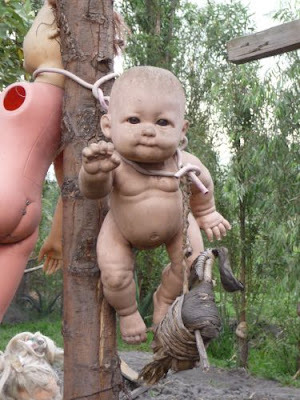 A world renowned tourist destination is “La Isla de la Munecas”- a Spanish name which means the Island of the dolls. This Island of dolls is situated in Mexico and as the name suggests, one expects to see a beautiful world which will leave an everlasting impression. But the reality is exactly opposite and very harsh when one discovers the thousands of mutilated ugly dolls hanging from every tree on the island. Don Julian Santana, a hermit who renounced the world and his family to inhabit this island dedicated his last fifty years of his life to the make the “La Isla de la Munecas”. It is believed that, he did this to please the spirit of a little girl who had drowned in the canal. Whatever may be the reason, he managed to turn this island into a bizarre, scary place where an eerie eye of mutilated dolls haunts your every move, on this strange island. 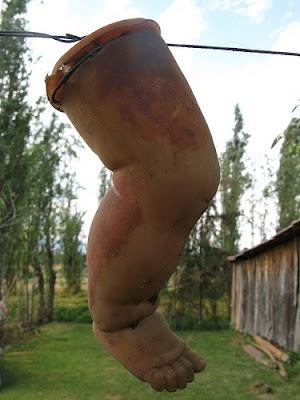 Don Julian is said to have led an isolated life ,except when he ventured to collect old dolls that he either scavenged from the garbage dump or bought in exchange for his homegrown fruits and vegetables. Personally one is made to believe that he obviously did not like intrusion and tried to scare off inquisitive onlookers by hanging scary doll faces. In 2001, Don Julian was discovered drowned to his death in the same canal surrounding his home. Don Julian is dead to the world but his eerie disturbed vision stays on, in the faces of lifeless dolls mutilated and hung in the worst forms of human torture and punishment. This is a ghostly sight that serves as a dark tourist attraction especially for the young generation who is fascinated by gore and death. 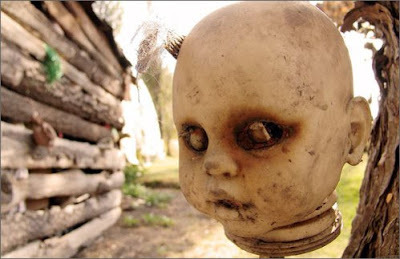 Many visitors are overwhelmed by the dead childish faces of dolls that never lived but appear to haunt this place, always looking at us as though we were responsible for their deaths. 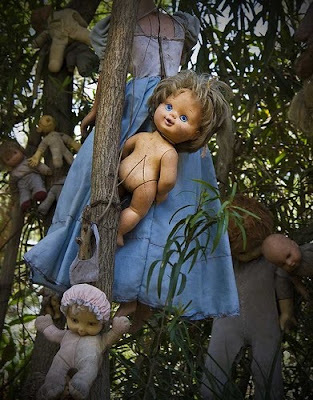 A world renowned tourist destination is “La Isla de la Munecas”- a Spanish name which means the Island of the dolls. 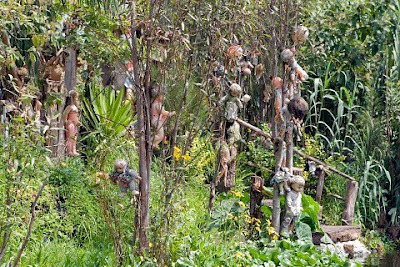 This Island of dolls is situated in Mexico and as the name suggests, one expects to see a beautiful world which will leave an everlasting impression. But the reality is exactly opposite and very harsh when one discovers the thousands of mutilated ugly dolls hanging from every tree on the island. 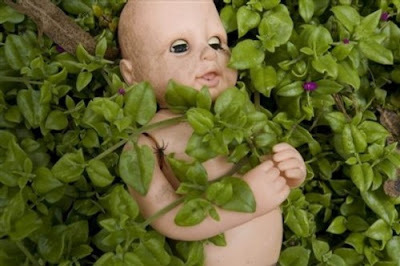 Don Julian is said to have led an isolated life ,except when he ventured to collect old dolls that he either scavenged from the garbage dump or bought in exchange for his homegrown fruits and vegetables. Personally one is made to believe that he obviously did not like intrusion and tried to scare off inquisitive onlookers by hanging scary doll faces. In 2001, Don Julian was discovered drowned to his death in the same canal surrounding his home. Don Julian is dead to the world but his eerie disturbed vision stays on, in the faces of lifeless dolls mutilated and hung in the worst forms of human torture and punishment. This is a ghostly sight that serves as a dark tourist attraction especially for the young generation who is fascinated by gore and death. 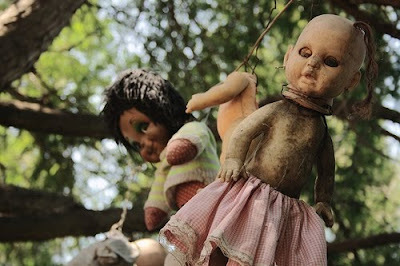 Many visitors are overwhelmed by the dead childish faces of dolls that never lived but appear to haunt this place, always looking at us as though we were responsible for their deaths.